Canal Walk in Somerset enjoys a prime location near many popular destinations. Homeowners can easily plan day trips to nearby New York City, Philadelphia, Atlantic City, or the Jersey Shore. 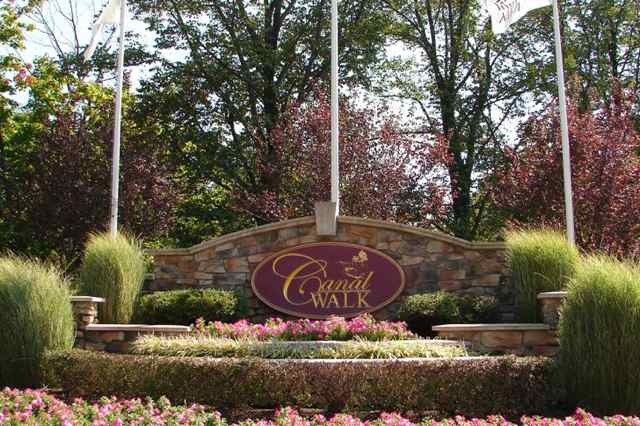 Canal Walk certainly has many benefits to offer active adults, and its location in New Jersey is one of its strongest selling points. Homebuyers seeking to remain close to modern conveniences while settled in a peaceful, relaxed environment will find a lot to like within the pristine Somerset community. This lovely gated community is situated only 30 minutes from Staten Island and about an hour from Manhattan. Canal Walk is also within close proximity to great weekend getaways, including Philadelphia, Atlantic City, and several regional ski resorts. Closer to home, Canal Walk residents will have no trouble finding fun activities in Somerset and the surrounding area. There are many retail centers, including upscale shopping at nearby Bridgewater Commons and the specialty shops at Downtown Somerville. Other local entertainment includes movie theaters, public and private golf courses, and restaurants for either casual meals or fine dining. Somerset is also home to Villagers Theatre, a regional performing and cultural arts center. There are also many amenities available within the community’s own gates. Canal Walk’s spacious, 32,000-square-foot clubhouse offers many opportunities for residents to socialize. There are billiards and card rooms, an arts and crafts room, and a cozy library. The ballroom provides the perfect setting for community events or club meetings. Canal Walk’s clubhouse also contains a large fitness center which features state-of-the-art cardiovascular and strength training equipment. An indoor pool lets residents further their fitness goals by swimming laps or taking part in water aerobics. After exercising, residents can relax in the fitness center’s saunas and steam rooms. There is even an on-site massage and wellness center. Residents at Canal Walk enjoy amenities indoors as well as outdoors, such as the resort-style pool and sun deck. The recreational amenities continue outside of the clubhouse as well. Residents can relax at the resort-style swimming pool, or arrange a game on one of the sports courts. Canal Walk offers tennis facilities, bocce ball courts, and miles of walking and biking trails. According to local real estate expert Carol Gumpper, Canal Walk has recently acquired a community bus. This makes it even easier for residents to get around and take part in an active lifestyle. And with a wide range of social clubs, new residents are sure to find a group that appeals to their own interests. Nestled amid beautiful suburban landscaping, Canal Walk is a lovely age-restricted community with a wide range of home styles and resort-style amenities. It is sure to appeal to active adults who value its prime location near both local attractions and major urban areas.